Google and Print advertising is a debatable topic. With the plethora of online marketing channels that companies can use, why should a company print marketing materials anymore? There are several reasons why, and the proof is seen even among the top internet marketing channels themselves. Google is the SEO (search engine optimization) master, to which all website creators try to appease in order to have their pages indexed and placed on the top pages of the search engine. Google ratings are very important to merchants online and offline. Free and pay-per-click advertising as well as paid ads are available to the public. 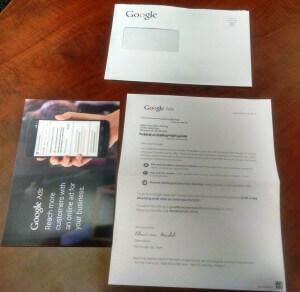 Google is one of the biggest online marketing channels in the world….and they uses print marketing. 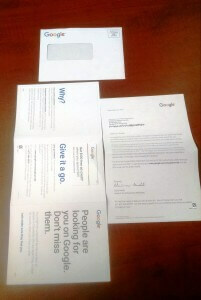 These are some of the reasons why Google uses print advertising. Print is alive. If you are interested in using print marketing techniques such as letters or postcards like Google, visit our websites and see all the innovative ways you can use print.